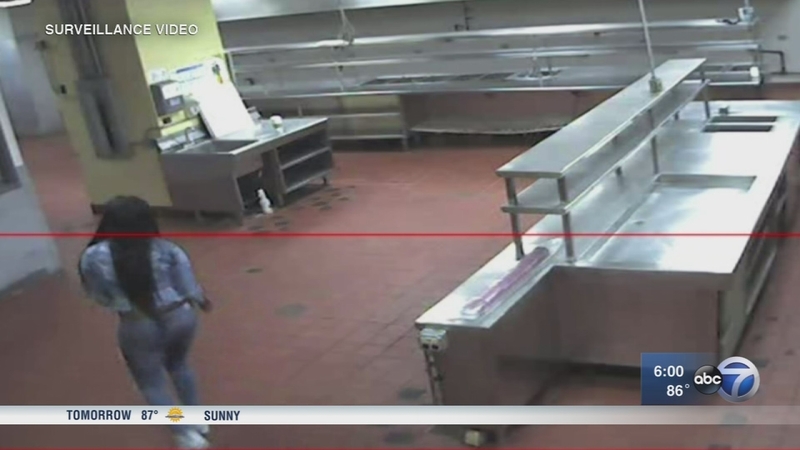 ROSEMONT, Ill. (WLS) -- The Rosemont Public Safety Department said on Monday the investigation into the death of Kenneka Jenkins will remain in their hands and that the FBI is not involved in the investigation. Monday's announcement came after friends and family of Kenneka Jenkins marched to FBI offices in Chicago Saturday afternoon to demand a federal investigation into her death. Family and friends marched to FBI headquarters to demand a federal investigation into the death of Kenneka Jenkins. The group met in a park on the city's West Side to pray and release balloons in Jenkins' honor before marching to the headquarters. Eight snippets of raw surveillance video were released Friday afternoon show Jenkins, 19, walking the halls of a Rosemont hotel more than a day before she was found dead in a basement freezer. Those who marched to FBI headquarters said that they suspect a cover up. "We want a second look," said Mark Carter, who attended the march. "We're here at the FBI building to ask for a second look to make sure that the tapes weren't altered, to demand that they give us the full tapes, not pieces, not their altered pieces." Tereasa Martin, Jenkin's mother, plead for an investigation. "I am just looking for help, that's all I been asking for since day one," Martin said. "Help, because it didn't make no sense, it never made sense from day one." The group said that they will hold more protests at the FBI and in Rosemont over the next thirty days if law enforcement doesn't release what they called "the unaltered tapes." They said that they plan to be at both FBI headquarters and in Rosemont tomorrow.